Last week’s Moscow-hosted negotiations between Afghan politicians and the Taliban (radical group, outlawed in Russia) unexpectedly stirred up a surge in diplomatic activity, Kommersant writes. US State Department Special Representative for Afghanistan Zalmay Khalilzad welcomed the Inter-Afghan Dialogue in the Russian capital, backing Moscow’s efforts on the Afghan track. The key message of the political declaration approved in Moscow was support for the peace talks between the Taliban and US representatives, initiated in Doha and labeled as Khalilzad’s brainchild. The US diplomat was cautiously optimistic about the event in Moscow, which was organized by the Afghan diaspora in Russia without the participation of the Russian Foreign Ministry or the Kremlin. He noted that should the meeting lead to Afghan unity, including the government, ahead of the next meeting in Doha, these talks would be a positive step. Special Russian Presidential Envoy for Afghanistan Zamir Kabulov reported that Washington and Moscow managed to bring their positions closer. Against this background, Russia’s relations with Kabul, which is not taking part in the negotiations, have drastically deteriorated. Afghan President Ashraf Ghani negatively viewed the meeting in Moscow, and local media even reported about a protest sent by the Afghan authorities to the United Nations. 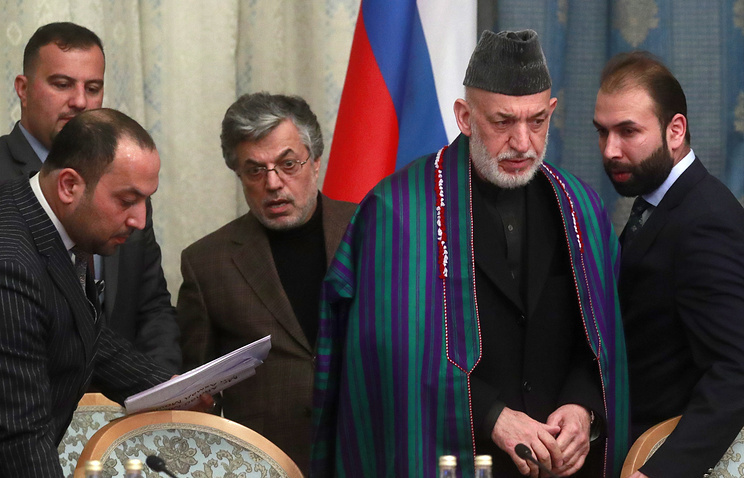 At Kabul’s request, a meeting of the Russian-Afghan intergovernmental commission scheduled for February has been cancelled, the paper says. Meanwhile, an independent Russian expert on Central Asia Arkady Dubnov believes that the worsening ties with Ghani’s government won’t seriously harm Moscow’s interests. "In any case, President Ghani is a ‘lame duck.’ That’s why there is some logic in Russian diplomatic steps," he told the paper. Speaking about last week’s inter-Afghan talks held in the Russian capital, the expert praised it as a success, although it did not seem to be something serious from the very beginning. "The format created by Moscow, which is unparalleled, has taken on its own existence and Washington’s reaction confirmed this," he noted. EU members have reached a compromise on changing the gas directive, which might help Gazprom in its Nord Stream 2 gas pipeline project. According to Kommersant, this option gives Gazprom a chance to avoid serious negative consequences for the project because the talks on applying the directive will be led by Germany. However, the adoption of the directive may still hamper and delay the start of the gas pipeline’s operation, the paper says. If Nord Stream 2 is built after the date the amendments enter into force, it won’t be exempt from the EU’s Third Energy Package under a simplified procedure. In this case, Russia and Germany will have to sign a special agreement on the legal regime of the gas pipeline. Berlin will have to get permission from the European Commission for such talks, requesting it not later than five months in advance. Brussels has to furnish its response within 90 days, but may request additional information, and after it receives it, so the countdown will begin again. Due to these procedures, the European Commission had delayed issuing the exemption from the Third Energy Package for the Opal gas pipeline for more than two years, preventing Gazprom from launching Nord Stream, the paper writes. Finally, Brussels may simply decide against giving the green light to the talks if it believes that they may harm the operation of its domestic gas market, competition and safe supplies. The European Commission should receive reports on the talks and may also insist on the participation of its representative. 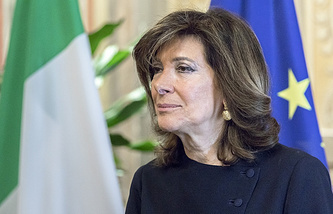 But an important point has been removed from the directive, which allowed the European Commission to issue instructions on holding talks and approving their outcome. Experts interviewed by the paper are cautiously optimistic about the amendments, saying they could be changed after talks between the European Parliament and the Council of the EU, which are due to begin on February 12. It is not ruled out that the parties won’t manage to approve the amendments by the May elections to the European Parliament. In that case, it’s unlikely that they will be passed this year, meanwhile Gazprom plans to complete the Nord Stream 2 pipeline’s construction in the fourth quarter of 2019. The amendments will have to undergo legal expertise, which should assess whether they are needed. According to Alexei Grivach from Russia’s National Energy Security Fund, the amendments agreed on by Germany and France alleviate risks that the authority to grant an exemption from the Third Energy Package will be handed over to the European Commission or should be approved by a collective decision of several EU countries. "But there are risks that the Nord Stream 2 commissioning will be delayed over the need to communicate with the European Commission," he said. Besides, Germany will get an additional lever of pressure on Russia at the talks on gas transit via Ukraine. Grivach believes that as Russia and Germany have agreed on maintaining the transit after 2020 and the process of filling the new gas pipeline will come steadily step by step, though these difficulties are not new and principal. On Tuesday, the US Congress will resume talks on new restrictions against Russia. Independent experts note that the most dangerous scenario for Russia is sanctions against state banks, Nezavisimaya Gazeta writes. "Actually, this means disrupting the system of circulation of dollars in the country," analyst at Rosbank Evgeny Koshelev said. All transactions in the greenback are carried out via correspondent accounts in US banks. If the latter are barred from working with Russian banks, the Central Bank and the Finance Ministry will have to remedy the situation using their own reserves, and converting dollar deposits into rubles will become a reality, experts warn. The heat is very likely to be turned up in the coming months, says Moody’s credit rating agency, which upgraded Russia’s outlook from stable to positive last week. "Any additional sanctions are likely to include prohibitions on US and US-domiciled entities from buying, and possibly from holding, local-and foreign-currency government bonds and bonds issued by some state-owned banks and non-financial companies. Further sanctions beyond those cannot be ruled out," the company said. New punitive measures may include a ban on US companies and citizens on not only buying, but also possessing bonds owned by the state, state companies and state banks, and therefore may target both the primary and second market, Kirill Tremasov, Director of the Analytical Department at Loko-Invest, said in his Telegram channel MMI. Experts are skeptical about Moody’s suggestion that the sanctions could cover Russia’s second bond market. "We view this scenario as one of the toughest ones, and its likelihood is 10-15%," Sergei Deineka, financial analyst at BCS Premier says. Brussels is mulling the idea of adding Saudi Arabia to a list of countries that fail to fight money laundering and sponsor terrorism, Nezavisimaya Gazeta writes, citing a Reuters report. Major arms suppliers to the kingdom oppose the plan. Among the key countries, trying to prevent the initiative is the United Kingdom, Germany, France, Italy and Spain. The blacklist now includes 16 countries, among them is Iran, Iraq, Syria, Afghanistan, Yemen and North Korea. Besides Saudi Arabia, the EU plans to blacklist Panama and several Pacific and Caribbean islands. The punitive measures may affect financial ties between Riyadh and European capitals. For example, European banks will be forced to carry out additional checks on operations involving the kingdom. However, the decision to update the blacklist must be approved by all EU members. Experts note that Saudi Arabia has strong relations with the UK in the defense sector and rupturing these ties would be very complex for both sides. "The UK and Saudi Arabia have very long-standing military ties, including the supplies of military equipment and armaments," Yuri Lyamin, a specialist on armed forces, told the paper. According to the Stockholm International Peace Research Institute, from 2010-2017 the UK ranked second after the US in terms of arms supplies to Saudi Arabia. The kingdom mostly purchases Eurofighter Typhoon multirole fighters and armaments for it. Last year, Riyadh signed a memorandum with the UK on plans to buy another 48 fighters in addition to 72 planes, which it purchased earlier. Parties to the OPEC+ deal on cutting oil output, created a preferential advantage for the United States, while posing a strategic threat for developing Russia’s oil sector, Rosneft CEO Igor Sechin said in a letter to Russian President Vladimir Putin in late December, three federal officials told Vedomosti. Sechin is concerned that the share of Russian oil on the global market has declined from 16.3% in 1990 to 12% in 2018. Consumers are shifting from Russian oil to other producers, and this may result in an irreparable loss of market share for Russian producers. The parties to the OPEC+ deal agreed to cut production starting in 2017. The deal has been extended twice. By May 2019, Russia will have to cut output by 2% from this past October to 11.2 mln barrels per day. Sechin says US oil companies have boosted production thanks to lowering the tax burden and encouraging investment. The tax rate in the US is 35% , while the figure in Russia exceeds 80%, another source told Vedomosti. According to Sechin, US producers will get a chance to sharply increase output and oil export in late 2019-early 2020 when pipelines from a shale oil facility to the Gulf of Mexico ports will enter into operation. "Oil from the Gulf of Mexico may go both to China and Europe," Corporations Department Director at Fitch Dmitry Marinchenko told the paper, noting that China is a major export destination for Rosneft. Apparently, Rosneft is signaling that the company and Russia in general may significantly boost output, Raiffeisenbank analyst Andrei Polischuk said. The deal with OPEC should be a temporary decision and there is no sense in fighting against US output and dumping, the paper writes.